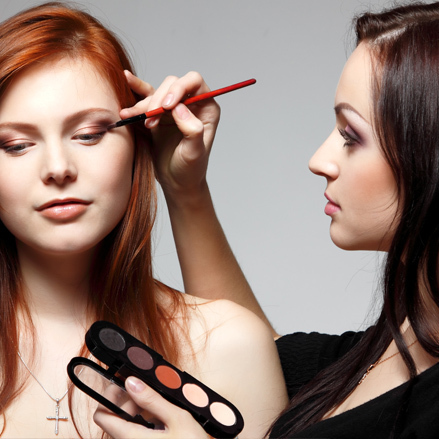 A makeup service is performed to create a natural, flawless look, or as dramatic of a look that you prefer on the face. This is done by using primers, foundations, concealers, blush, mascara, eyeliner, eyeshadows, bronzers, lipstick/gloss, etc. Makeup may be applied by using special sponges, brushes, etc.